This week’s High Five feature album is Nali & Friends - the first children’s album from ARIA-award winning singer/songwriter, Dan Sultan. Nali is a baby Arctic Turn bird with a crooked wing who is trying to fly from the North to South Pole ... but her wing keeps causing her to fly the wrong way! Because of this, she flies all over the world, making friends with a host of weird and wonderful animals. In 'Bob the Blob' you’ll meet a Blobfish who just wants to rock n’ roll. In 'Camilo the Armadillo' you’ll befriend a very studious armadillo. And in 'Bwindi', you’ll get to know a gorilla with a flatulence problem! And that’s just the tip of the iceberg! 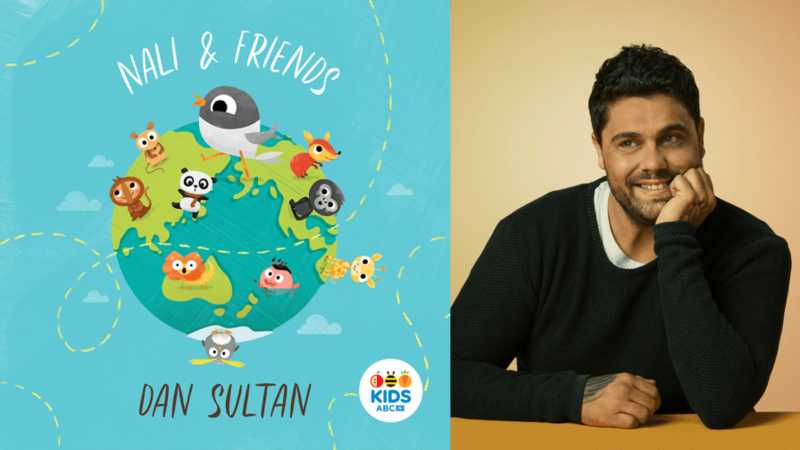 Dan Sultan doesn’t just take you on an audio trip around the world, he’ll also introduce kids to a wide range of musical genres – from rock to blues to country. That definitely warrents a big High Five in our book! WIN! Want to win one of 10 hard copies of Nali & Friends by Dan Sultan? Enter our competition here.